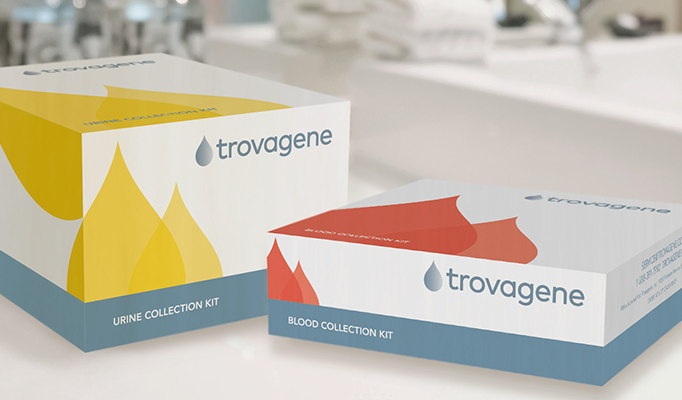 Trovagene said it will provide its Trovera urine ctDNA biomarker test and services to AstraZeneca, under an agreement whose value was not disclosed. Tovagene’s Trovera EGFR urine liquid biopsy test will initially be used in an open-label prospective biomarker study designed to evaluate whether the combination of noninvasive urine and blood testing is as effective as tissue testing in identifying epidermal growth factor receptor (EGFR) T790M mutation status. On March 31, AstraZeneca won FDA approval for its Tagrisso® (osimertinib) 80mg once-daily tablets. Tagrisso is indicated as a treatment for metastatic EGFR T790M mutation-positive non-small cell lung cancer (NSCLC) as detected by an FDA-approved test, whose disease has progressed on or after an EGFR tyrosine kinase inhibitor (TKI) therapy. The agreement with AstraZeneca comes some six months after Trovagene completed a reorganization designed to increase its focus on global distribution of kits and systems to clinical research laboratories for the liquid biopsy oncology testing market. Trovagene said the reorganization would enable it to save approximately $4.0M per year in pre-tax expenses, mainly through the elimination of 20 jobs and cutting back on expenses associated with marketing CLIA services directly to medical professionals. San Diego-based Trovagene performs CLIA laboratory testing services for other biopharmaceutical companies and clinical research third parties. The company said it uses its expertise to support the development of biomarkers for the company’s internal drug development program for PCM-075, a polo-like kinase 1 (PLK1) inhibitor. Trovagene said it plans to use an acute myeloid leukemia (AML) genetic panel to assess patient response to PCM-075 in its Phase I/II trial.